Samsung's got a pair of beautiful new flagship devices coming out this spring that will surely top the sales charts. The Galaxy S5's successor is truly worthy of that title, but a second variant with a curved display turned heads at Mobile World Congress this weekend. The S6 Edge is quite the looker indeed, but one feature in particular stood out to developer Diego Lopez. The Edge takes advantage of its curved display by lighting up the sides of the screen with a colorful animation for new notifications, and Lopez was immediately envious when he saw this. So he decided to port this feature to any Android device with a simple app, which doesn't even require root or any special permissions. 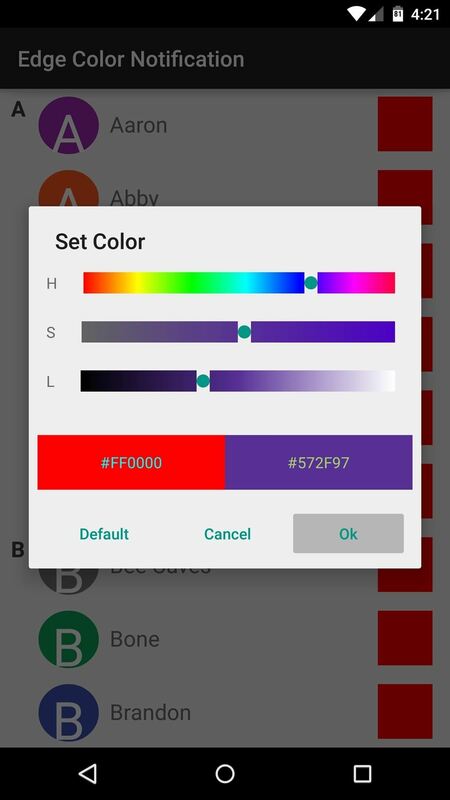 Lopez's app is called Edge Color Notifications, and it's available on the Google Play Store for free. Search it by name to get it installed, or head directly to the install page at this link. 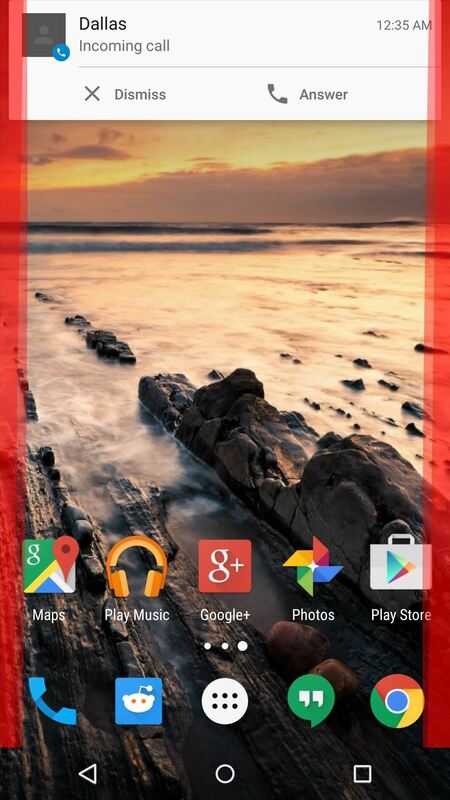 As soon as you launch the app, you'll see the Galaxy S6 Edge notification effect. 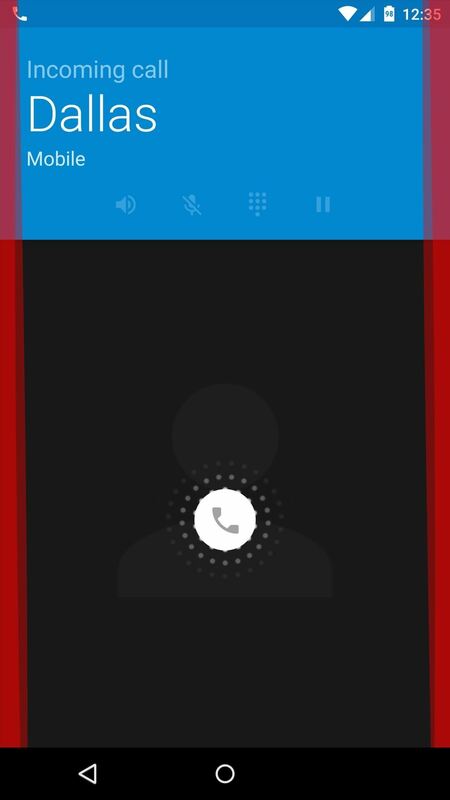 Colored ribbons dance around the edge of your display, and this is exactly the same effect you'll see when you get a phone call. For now, the app doesn't support text messages or other notifications, but the developer is working on this feature presently. 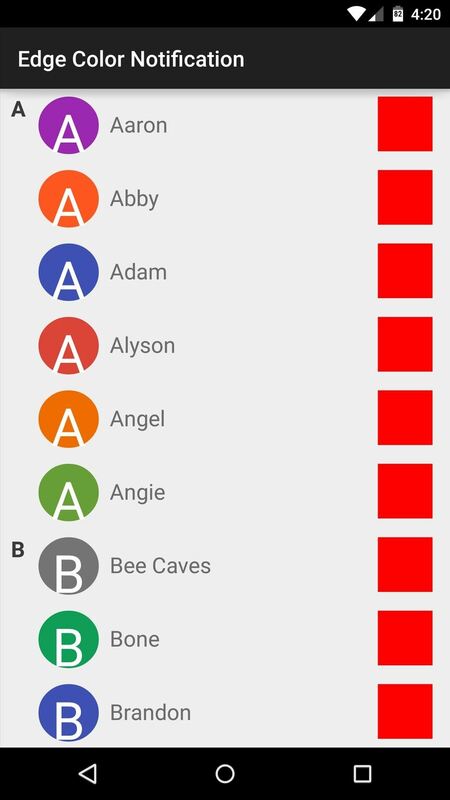 If you'd like to change the width of these ribbons, enter a different value in the "Column width" field. 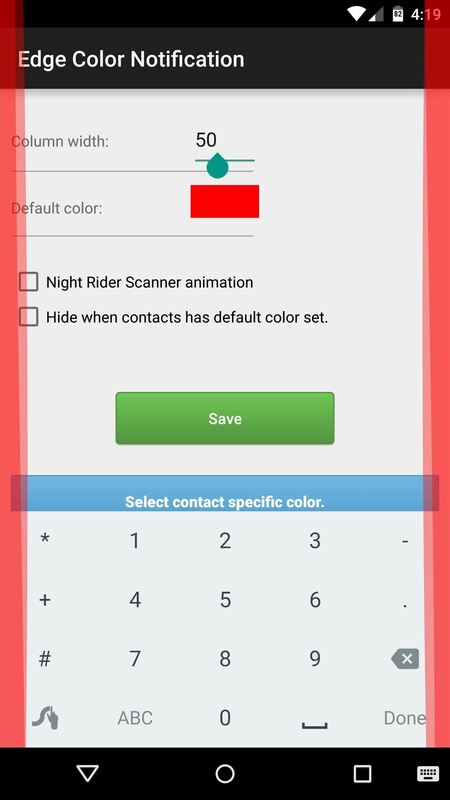 From there, you can change the color by tapping the "Default color" field. 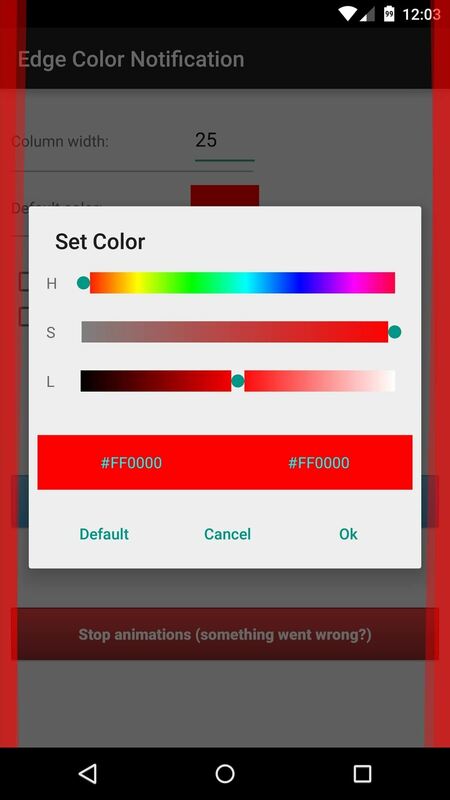 This gives you a color picker with hue, saturation, and lightness sliders, so you'll be able to match almost any color. 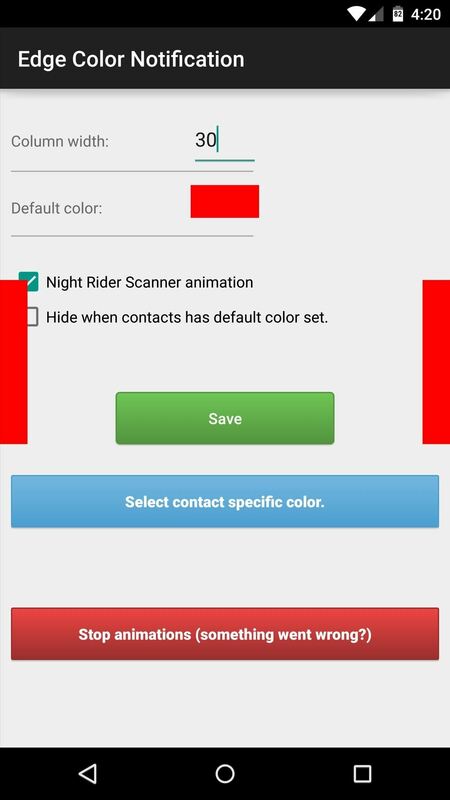 Next, you can select the "Night Rider Scanner animation" option to give the notifications a KITT style if you'd like. 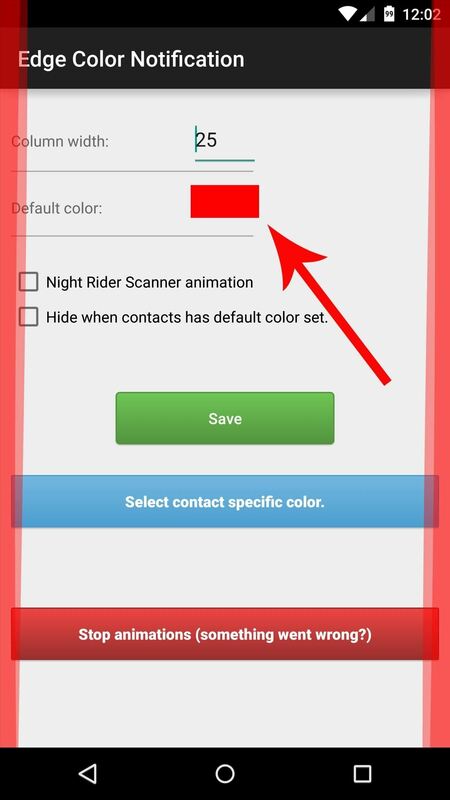 From here, tap the "Select contact specific color" button to do just that. 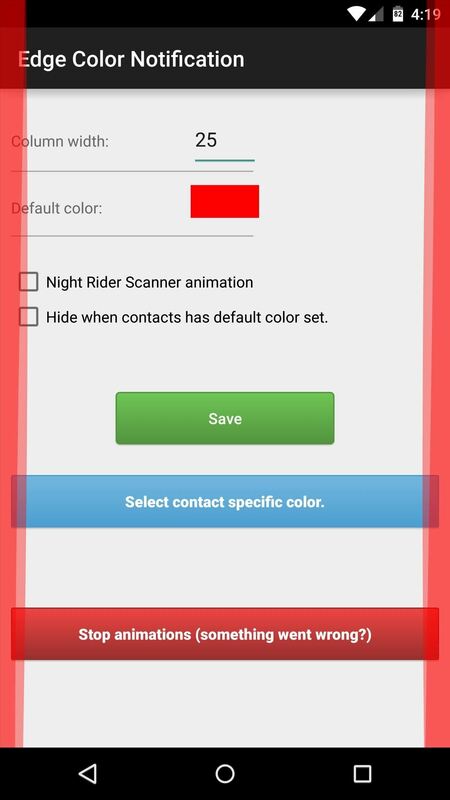 Use the following menu to select a contact, then the color picker will come up and you can set a custom color for that contact. When you've got everything set up, make sure to tap the "Save" button. After that, just wait until you get an incoming call, and the new notification ribbons will start dancing around the edges of your screen. This applies to both the lock screen call UI and the new Heads Up call notifications that appear while you're using your phone. Even cooler still, these ribbons offer a really cool glow when your device is upside down, with reflections dancing on whatever surface you've placed it on. What are your thoughts on the new Galaxy S6 Edge and its notification system? Let us know in the comment section below, or drop us a line on Facebook, Google+, or Twitter.